If you’re planning on coming to Australia for travel or to live here for under 2 years and you don’t have an Australian passport, the best option for you is to get a working holiday visa (subclass 417). Am I eligible? – You have to be between the ages of 18 – 30 to be eligible, you have to have a passport from an eligible country and you must be outside of Australia when you apply for the visa and when the visa is granted. The visa allows you to travel in and out of Australia freely and lasts for one year from the date of your first arrival into Australia. Your arrival date has to be within one year of being granted the visa. What are my working rights? – An important thing to remember is that you cannot work for an employer for longer than six months if you’re in Aus on a working holiday visa, this can sometimes make life a bit difficult if you’re planning on staying longer term, however if you’re just working to supplement your travel (which is what the visa is designed for) then it’s not a huge problem. How do I get one? – check out the official website here for more information and to apply. It’s easy enough to do it yourself so I’d recommend completing your forms directly with the Australian Government rather than going through a visa agency, as agencies massively increase the costs with no real benefit to you. The cost of a 417 visa is approximately £270 and they typically take between 10 – 31 days to process. If you’re loving the Australian lifestyle and can’t quite face the idea of returning home after one year, you can extend your working holiday visa for another 12 months – wahoo! In order to do this, you have to complete your 88 days of ‘regional’ work before applying for your visa extension, which means you must do it within your first year. The most common thing for travellers to do is fruit picking, but there’s a lot more out there with the list of industries currently standing at: plant and animal cultivation, fishing and pearling, tree farming and felling, mining and construction. The work you carry out must be in an eligible ‘rural’ postcode so triple check this here when you’re picking your job. Nothing worse than doing the hard slog for 88 days to find out you picked the wrong spot! A few other things to bear in mind… the climate during your working period in the area that you’ve chosen and the proximity to civilisation! There are some great options available these days so there’s no need to get stuck ‘way out woop woop’. The obvious answer is to pack your belongings in a suitcase and bring them all with you as extra baggage on your flight, which is easy enough. However if you’re planning on staying in Aus for a long time, you might consider sending some of your larger belongings over by ship. I used the company Seven Seas Worldwide and I thoroughly recommend them. For 5 boxes and one suitcase (I’m clearly not a light packer) it cost me around £250 which seemed pretty reasonable, however it did take 3 months to get there. I could have sent the same amount via plane with a transit time of 1 – 2 weeks, but it would’ve cost around £1000. What to bring is largely determined by where you’re moving to. As mentioned below, the climates of the different cities vary massively, for example between places like Melbourne and Cairns, so make sure you do some research before hand. If you’re headed somewhere sunny make sure you’ve got ya thongs and ya boardies (flip flops and swimmers) and if you’re from colder climates make sure you pack some sunscreen cos you really do feel it down here! What I can also tell you is that if you’re moving to Brisbane you do not need to pack 13 jumpers, 3 coats, 2 woolly hats, 5 scarves and some mittens ‘just in case’ as my other half frequently likes to remind me. They are all gathering dust in my ‘winter wardrobe’. Which city is the one for you? Sydney: Sydney seems to be a real magnet for British expats as it has a great balance of both the bustling city and laid back beach life, with iconic spots like Bondi and Manly beaches right on it’s doorstep, which are both justifiably popular. It also has some epic Australian landmarks like the opera house, the harbour bridge and the Blue Mountains an hour or so inland. Just like Melbourne, the big city brings a lot of job opportunities but the cost of living here is really high. If you’re hoping to live by the beach you’ll have to fork out a fair bit of cash, but it’s worth it if you’re looking for the coastal life, as it often takes a while to get places in this busy city and no one likes to be stuck in traffic. The weather here is much warmer than Melbourne but it still gets a little cold over winter, dropping to a fresh average temperature of 13 degrees. You’ll definitely be able to meet a lot of expats and tourists here too and there’s no shortage of things to see and do. Brisbane: Unlike the metropolitan areas of Sydney and Melbourne, Brissie feels like a big country town where everyone knows each other, because of how friendly and laid back the vibe is. Although the city is smaller in comparison, it’s also a lot newer, cleaner and greener and very easy to get around. The job opportunities here are a little thinner on the ground depending on your industry, but the cost of living is extremely reasonable and it boasts a beauuutiful subtropical climate all year round (it’s 28 degrees today and we’re technically still in winter). Brissie feels a lot more ‘Aussie’ than the cities down south, which means there aren’t quite as many tourists and expats to meet. Although Brisbane itself isn’t on the coast, you can get to the gorgeous Gold Coast or Sunny Coast beaches within 45 minutes of driving, which you will be able to visit all year round due to the roasty toasty weather. There’s also some amazing places to see that surround Brissie in all directions, such as the scenic rim, the gold coast hinterland and the glasshouse mountains, so it’s ideal for those of you that love the outdoorsy lifestyle. The food and drink scene here is in its early days in comparison to Melbourne and Sydney, but it is definitely growing so watch this space! If a laidback, sunny way of life is what you’re after then Queensland (also known as the sunshine state) could be the one for you. One thing I would definitely recommend is moving to a place where you might know someone or know friends of friends that you can meet up with. Trying to make pals in new countries can be daunting so having a foot in the door really eases off the pressure. What do you need to do when you get here? Apply for a medicare card – generally speaking, this allows you to get medical help for free in the incident that you get sick or hurt yourself, providing you’re a citizen of a reciprocal health care country. To apply for a medicare card and for more information follow this link. Open up a bank account – If you want to get paid this will definitely help you out! Remember to bring as much ID as possible with you, including your visa grant letter. Sort out your phone – either get an australian sim card or open up a new phone contract, because you can’t get far without one. Apply for a TFN – this is a tax file number (similar to a social security number). Most employers require these before you start working with them, so they are pretty essential. They can take a couple of weeks to come through so try and get this sorted as soon as possible. For more info and to apply for a TFN click here. “You little ripper” – how fantastic! And to quote my lovely Aussie partner on the first day he got back to Australia, “Grab us a sanger and a frozo from the servo wouldja? !” – could you get me a sandwich and a frozen coke from the petrol station please. If you have any questions about the moving process feel free to leave a comment or send me a message, as I’m more than happy to help! Hey! My name is Katy. I'm a freelance marketing consultant, a writer, a traveller and a lover of all things creative. Those kangaroos are so cute. I think it’s the main reason I’d come to Australia. In Romania, where I live, it was a time when it was very popular to migrate to Australia (better life, higher salaries). I have university colleagues that when there and never came back. It seems that it was a good choice for them. I don’t think I’d do that. wow your pics are amazing. Each pic seems to be composed with so much thought in it. Also the editing is awesome. Aussie Lingo 🙂 reminds me of my Australian friends. Your article was indeed a very good read..
what a beautiful post about Australia! We used to live in Bali and I really wanted to visit (but my husband can’t apply for visa online). I have only heard good things about the country and your pics really confirm this! love it. We have been contemplating about moving down under. Your article was so comprehensive. We loved the Aussie Lingo section.. haha… This was beautifully written. Thanks for sharing. PS: Love your pictures. amazingly shot.. This is a good list to begin with. Australia proving to be a green pasture. I dont see myself moving to Australia but who knows what the future holds, but the post will be a saving grace for those wishing to go. Thanks! This is so comprehensive guide for such a move. Your pictures make Australia so attractive. 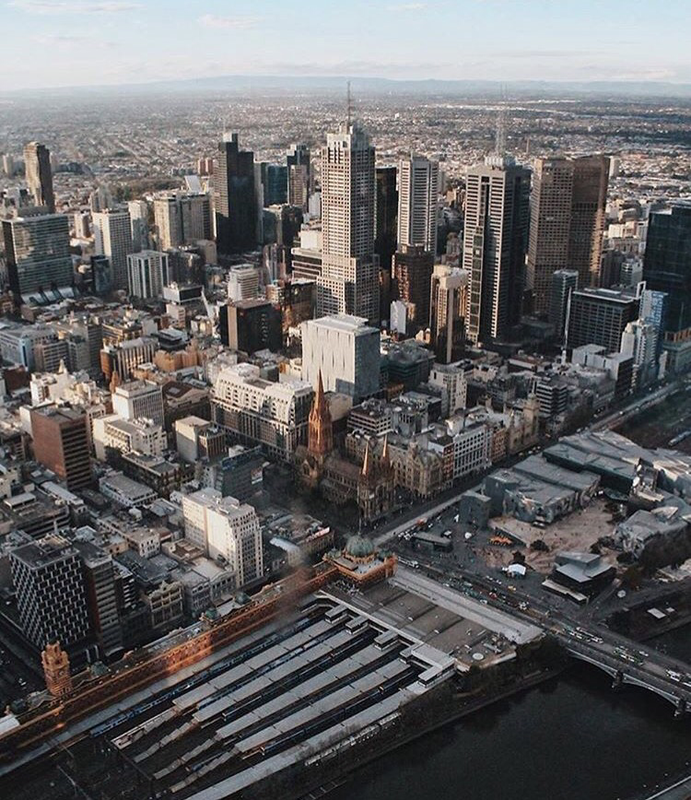 I would choose Melbourne as a place to live.